Summer to me means bright colors and fun, tribal prints. I combined the two together to get this look! Check out how I got it down below. While I have been on a MoYou London kick lately, I wanted to revisit my Bundle Monster plates. I decided to use the Bundle Monster x Chitchatnails plate from the blogger collaboration collection. I love all of the tribal, aztec prints on it! I painted my nails with Deborah Lippmann Lemon Drop and stamped with MoYou London Beach House. 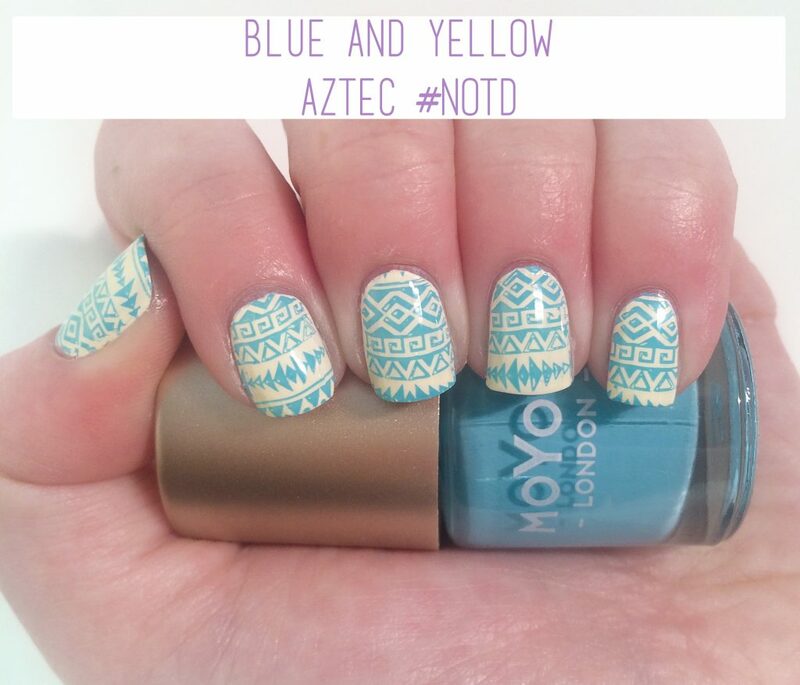 I used the MoYou London Crystal Clear stamper to get the placement (review of that stamper will be up next week!) I love the way that this turned out. I thought that the blue would turn green over the yellow, but it didn’t! I love how many small details are in this pattern. What’s on your nails? Let me know down below!